Rozabal – the Tomb of Jesus Christ(as)? It is a commonly-held belief among Christians and Muslims that Jesus(as) rose to heaven, and that his body was never buried. 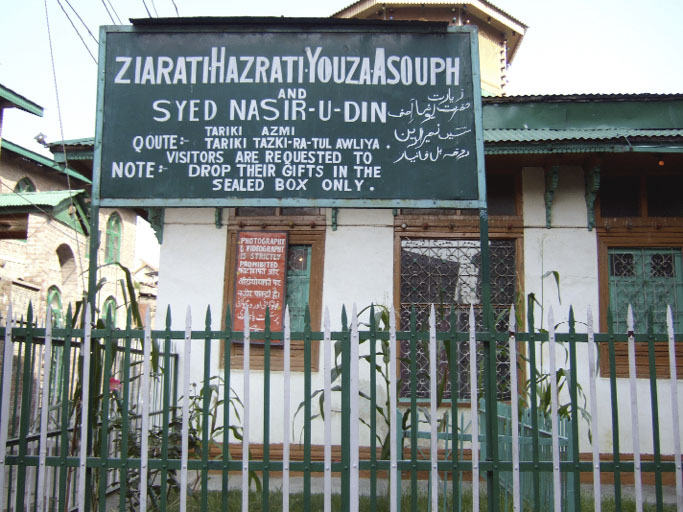 However, recent media coverage has brought the attention of the world to the Rozabal Tomb in Kashmir, said to contain the body of one Yuz Asaf, a name supposedly adopted by Jesus(as) when he was in India. This has reignited widespread debate on this topic. Local tradition states that the entombed was a prophet of Ahl-al-Kitab, or People of the Book (traditionally Christians and Jews), and his name was ‘Isa – the Qur’anic name for Jesus(as). 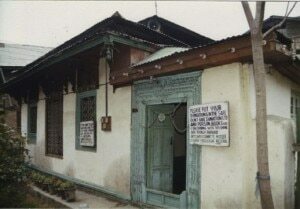 The proposed burial-place of Jesus(as) in Srinagar, Kashmir, is known to the locals as Rozabal, meaning the ‘Honoured Tomb’. It is known as the tomb of this very Yuz Asaf. The word ‘Yuz’ stands for Yuzu (meaning Jesus), and ‘Asaf’ in Hebrew means gatherer, namely, one who was to collect the lost sheep of Israel. It is said that the Prophet Yuz Asaf arrived from Syria about two thousand years ago. The question of the identity of Yuz Asaf, however, is a controversial issue. Is Yuz Asaf a name adopted by Jesus Christ(as) when in India? Could this be the tomb of Jesus Christ(as), or is Yuz Asaf as the current caretakers of the tomb have begun to insist, a Muslim saint with no connection to Jesus(as)? In Easter 2010, several international news organisations and mainstream newspapers around the world ran stories on the Rozabal Tomb in Srinagar, Kashmir. 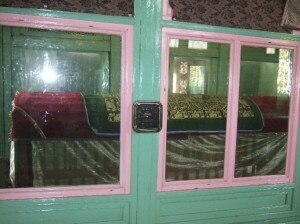 The articles all stated a large increase in the number of visitors to the tomb in Kashmir in recent times. The news organisations, which included the BBC1, The Times in Britain2 and The Times of India3, suggested that there were two main reasons for the increased interest. One is that the latest version of the Lonely Planet travel guide for Kashmir mentions the rumour of the Rozabal Tomb as ‘the Jesus tomb’, inspiring many curious travellers to visit. Secondly, a popular thriller, The Rozabal Line, the plot of which centres on the idea that Rozabal is the tomb of Jesus(as), has enjoyed success in recent months, especially within India4. So, the question naturally arises: why has the Lonely Planet guide called this tomb the ‘Jesus tomb’? The first recorded report we have about the details of this tomb and it being linked to the historical Jesus(as), is a letter from Maulawi Abdullah. After conducting his own investigation, Maulawi Abdullah sent a detailed report to the Promised Messiah(as) from Srinagar regarding the tomb5. Modern day opinions of the locals in Srinagar, however, present a very different view of the tomb. Any suggestion that the tomb contains the mortal remains of Jesus Christ(as) is met with fierce hostility and mockery. There has been a hardening of attitudes towards any attempts of research at the tomb. Over the past four decades researchers such as Dr Fida Hassnain, a prominent Sufi archaeologist and Professor of History, have provoked an increasing level of opposition from the caretakers. Dr Hassnain suffered personal threats against him and his family in connection with his research at the tomb. American researcher and former journalist, Suzanne Olsson, also had her attempts at detailed examination of the tomb thwarted by one of the caretakers of the tomb. The local Muslims are also opposed to research along these lines, and strongly believe that Jesus Christ(as) could not have a physical tomb on earth, having been lifted to the Heavens. In the 2008 documentary, Jesus in India6 directed by Paul Davids, we see what happens when someone arrives at the Rozabal Tomb and attempts to film it. In the documentary we are shown a crowd that forms quickly and the aggressive nature of the locals demanding that filming be stopped. “It’s a story spread by local shopkeepers, just because some crazy professor said it was Jesus(as)’s tomb. They thought it would be good for business. Tourists would come, after all these years of violence. “And then it got into the Lonely Planet, and too many people started coming. Yet the ‘crazy’ professor referred to here is Dr Fida Hassnain, a well-qualified archaeologist and scholar of religion who held the position of Director of State Archives for Jammu and Kashmir, from 1954 until his retirement in 1983. Dr Hassnain’s degrees include a Master of Divinity, Doctorate of Indology and Doctorate of Sufism. He has also the distinction of a lifetime achievement award from the Jammu and Kashmir Government. He is not only of the opinion that Jesus(as) is buried in this tomb, but has written several detailed books on the subject, from as early as 1988 to the present day. Given his qualifications, rather than being an arbitrary ‘crazy professor,’ Dr Hassnain is in a very good position to form a reasoned and informed opinion on the tomb. A person that has appeared in several documentaries about the Kashmir tomb is Mohammad Amin Ringshawl. In each of his appearances he confirms that the tomb contains ‘Yuz Asaf’, but speculates that there is no connection between Yuz Asaf and Jesus Christ(as). This statement shows a clear opposition to members of the Ahmadiyya Muslim community, referred to here using the derogatory terms Qadianis and Mirzais. Ringshawl is implying that it is only Ahmadi Muslims who are supporters of this theory and that they are misinforming the masses. 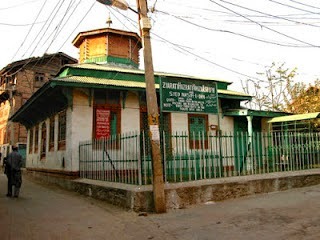 The opposition of Ahmadiyyat that has existed ever since the community was founded in 1889, has led to a change in attitude of the locals towards the Rozabal. In 1899, we read of hundreds of locals testifying to the tomb belonging to Jesus Christ(as), and yet today we read that the current caretaker of the tomb himself completely dismisses the idea lest the Ahmadiyya and historic versions are upheld. What evidence is there that Yuz Asaf is Jesus(as)? Given these accounts from the locals and the caretakers of the tomb, what argument can be made for the tomb being that of Jesus Christ(as)? Are Jesus and Yuz Asaf one and the same person? The carved footprints are one of the distinctive features of the tomb and one of the main clues in helping us identify the person buried there. They are mentioned in the latest edition of the Lonely Planet guide and interestingly, they were also mentioned in the letter of Maulawi Abdullah(ra). This is a key piece of evidence about the tomb and has featured prominently in books and documentaries covering the subject. 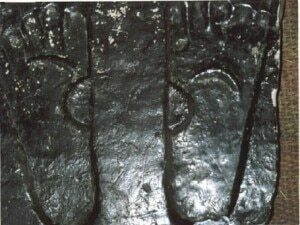 Feet carvings themselves are quite common, but Dr Hassnain states that he has never seen feet carvings with these distinctive marks upon them. Were these scars on the feet illustrating something distinctive about the inhabitant of the tomb? This fascinating clue has been alluded to by every researcher studying the tomb. What was the person who made this sculpture trying to highlight, and why did he or she consider it so important? The next piece of evidence is the direction of the tomb itself. Researchers including Dr Fida Hassnain, have stated that the direction of the actual grave of Yuz Asaf is in an East-West facing direction. This is significant as this is the direction in which the Jews buried their dead, not in the direction traditional for Muslims with the right shoulder facing towards the Qiblah (in Makkah). If Yuz Asaf is a Muslim saint as some argue, then why is his tomb in a Jewish-style east-west grave? The local traditions and Kashmiri histories do talk about Yuz Asaf as being a holy man who travelled from another country. This again supports the thesis that this person is Jesus(as), especially as Jesus is recorded as a great traveller in Islamic traditions12. Muslim Bystander 1: This (tomb) is very, very ancient – we cannot say for sure how old. Our ancestors said that throughout the entire world, this grave is unique! This is a Messenger of God! He came here from Egypt and liked the climate. He meditated here and settled here. He liked the love and hospitality of the local Muslims here. He didn’t return to where He came from, because He was respected here. He died here and is buried here. Those are the facts, and that’s it. The comment that Yuz Asaf stayed in Kashmir due to the hospitality of the local Muslims makes little sense, given that local traditions suggest the tomb is around 2000 years old, and pre-dates Islam by many hundreds of years. However, the rest of the opinions in this quote provide a fascinating insight into some of the facts about the tomb, that appears to have been preserved from earlier times. The above account not only reiterates that Yuz Asaf came from a foreign land, but specifically mentions Egypt. The local is clear that the inhabitant of the tomb is in no way linked with Jesus Christ, and yet he states clearly that Yuz Asaf spent time in Egypt. The land of Egypt is a country where Jesus(as) is explicitly recorded in the New Testament, as having spent time13. The prophethood of Yuz Asaf is attested to here also; again matching what is known and accepted about Jesus(as). The mason of this pillar is the suppliant Bahishti Zargar, year fifty and four. Khawaja Rukan, son of Murjan, erected this pillar. At this time, Yuz Asaf proclaimed his prophethood, year fifty and four. He is Jesus, Prophet of the Children of Israel. These inscriptions seem very clear and comprehensive, but there are some questions that remain. How old are the inscriptions? Why were they removed and by whom? Is the year ‘54’ mentioned here representative of 54 AD or 54 A.H, which would be 673 C.E.? Concerning the year 54, mentioned in the inscriptions cited below, Prof. Fida Hassnain is of the opinion that the dating system used here is the Laukika Era, a system used specifically in Kashmir, which is recorded to have started in 3076BC. Proponents of the theory argue in favour of these inscriptions, while critics demand more evidence. This level of evidence in support of the theory has attracted writers and scholars from a variety of backgrounds. While critics of the theory such as the locals in Kashmir, will argue this is a topic only Ahmadis write about, there is a growing number of scholars writing on this subject, who have no connection to the Ahmadiyya Muslim community. The actual number of scholars who support this theory is still small in number, yet remarkably varied in background. It appears researchers from different parts of the world, coming from different religious backgrounds, have been led ultimately to this tomb as a final resting place for Jesus Christ(as). American researcher and committed Christian Suzanne Olsson, is one person who has studied and written about the tomb for many years. She led efforts to obtain DNA samples from the tomb and carried out further research there. She has no doubt Jesus Christ(as) is buried in that tomb15. German scholar Holger Kersten now a Buddhist, is another person who has written in detail about Jesus travelling to India, and the tomb at Rozabal16. Kersten’s book, Jesus Lived in India, was published in 1994 and featured research supporting the view that Jesus Christ survived the Crucifixion, and journeyed to Kashmir. He also concludes that Rozabal is the tomb of Jesus and that Yuz Asaf and Jesus(as) is the same person. Recently, as featured in The Review of Religions, Indian born researcher Mantoshe Devji a Sikh lady, has given a detailed analysis of the tomb and her findings during a visit there17. These are just three examples of researchers coming from very different countries and faith traditions, yet arriving at the same opinion about the Rozabal Tomb in Kashmir. It should also be noted that none of these three are Ahmadi Muslims, which provides a strong counter argument to those claiming that this theory about the tomb is merely an Ahmadi concoction. One disturbing fact visible at the tomb is a series of changes and alterations. The tomb is undergoing change and signs are being added to the front of the building. There are reports of relics and items related to the tomb being sold off or held in people’s homes and the tomb suffering from serious decline at the hands of the current caretakers. Paul Davids’ documentary Jesus in India, suggests that the carved footprints placed next to the tomb that help link it to Jesus(as) and the Crucifixion, have been covered over and are no longer visible. There are concerns that the tomb and the identity of its inhabitant will be obscured as much as possible by the current caretakers. Thankfully, there are a large number of photographs and other documentary evidence about the Tomb to prevent this from happening. However, this state of affairs is still worrying. What lies ahead for the tomb is hard to predict. There is the clear assertion of the locals and the caretakers that the tomb is not related to Jesus(as), and that it must be locked up. Any publicity around the tomb is unwelcome. However, publications and documentaries are being produced about the tomb, linking it to Jesus Christ(as). 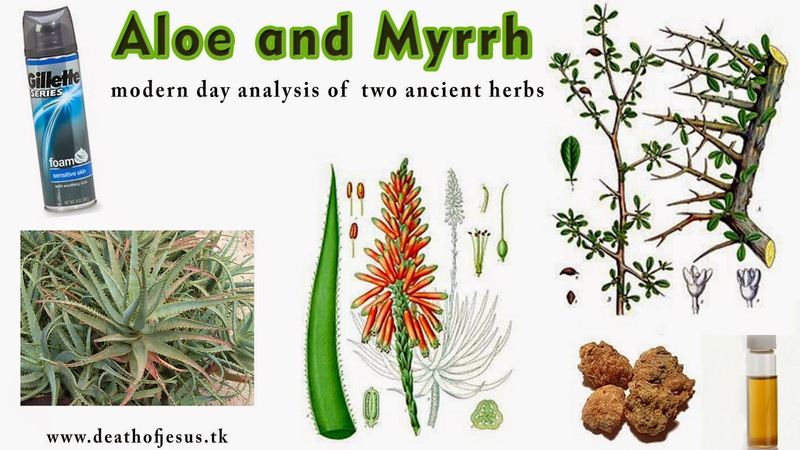 This is garnering interest around the world and more people are becoming aware if its existence every day. It appears that the tomb is being pulled in very different directions by two equally determined groups of people. To compound the problem, the geographical location of the tomb is an area plagued by terrorism, hampering efforts for further research. Will the truth ever be known and accepted about this tomb? Any future efforts to prove who lies in the tomb will have to be made with sensitivity and will require much diplomacy. 4. The book appeared in India Today’s Bestseller List three months in a row (March 2009). 5. 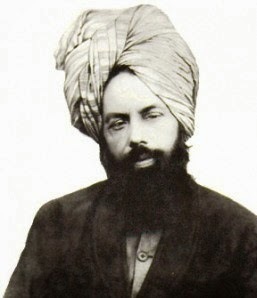 Hadhrat Mirza Ghulam Ahmad(as), Masih Hindustein Mein (Jesus in India), 1908. 6. 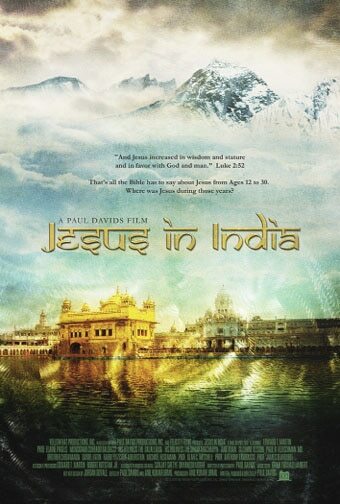 Jesus In India – Paul Davids – Universal Studios – Sundance Channel, December 2008. 9. BBC 4 – Did Jesus Die? (2003) – Wild Planet Films. 10. Jesus in the Himalayas – documentary featuring anthropologist Jeff Salz shown on the Discovery Channel, first in 2001, and repeated periodically. 12. Muslim savant, i.e., Ibn-al-Walid Al-Fahri Al-Tartooshi Al-Maliki, who was renowned for his learning, states about Jesus, on page 6 of his book Siraj-ul-Muluk, published by the Matba Khairiya of Egypt in 1306 A.H.: ‘Where is Isa, the Ruhullah, and, the Kalimatullah, who was the leader of the righteous, and the chief of travellers?’. Rauzat-us-Safa, a well-known book of history, on pages 130 – 135 – states Jesus was named the Messiah ‘because he was a great traveller’. 13. Matthew 2:13 states that Jospeh was instructed by an angel to take Jesus and Mary, and to flee to Egypt to avoid King Herod the Great. 14. The Fifth Gospel – Dr Fida Hassnain. 15. Rozabal – The Tomb of Jesus – latest book published by Suzanne Olsson and Dr Fida Hassnain. Olsson also appears in Paul Davids’ documentary stating she has no doubt it is Jesus buried in Rozabal. 16. Jesus Lived in India – written by Holger Kersten in 1994. 17. Humanity’s Messiah – Mantoshe Singh Devji – reviewed in June 2010 The Review of Religions Edition.